I'm trying to remove some screws from a boiler superheater in order to replace a gasket but they are stuck solid and have now partly snapped at the heads. Can anyone please offer any help? 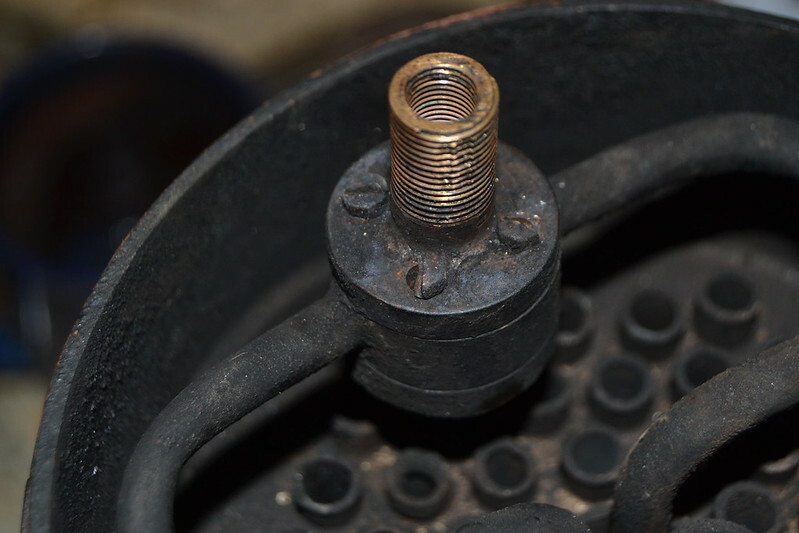 I've tried heating them then using pliers but there isn't enough to hold on to, I'm not sure of the thread size but they are only perhaps about M3 and from what I can see stud extractors dont seem to go that small. I did wonder if it is worth trying to silver solder something onto the broken end to give something to grip. If you look at this thread from 'Another Place' you will see how David and I (mainly 'I'!) drilled out and retapped six 8BA stud holes. Tricky, but eminently doable! I would not put cheese head screws back in there. Why not make some studs from good quality material, and hold the top down with nuts instead. Thanks Phil, that's what I'm doing cheeseheads screws can't be tightened down properly so I've put 5ba studs in. The smokebox is a very corrosive place I hope you made those out of Stainless Peter. I haven't at the moment but thats a 2 minute job now I've rectified the leak, there's still a lot to do to fully rectify all the faults, the smoke box top is a terrible fit and isn't airtight. I need to anchor the steam take off to the boiler side as it's hanging in mid air at the moment. The steam take off on the right isn't anchored to the boiler body, I want to secure that next then have the steam take off exiting from the side. 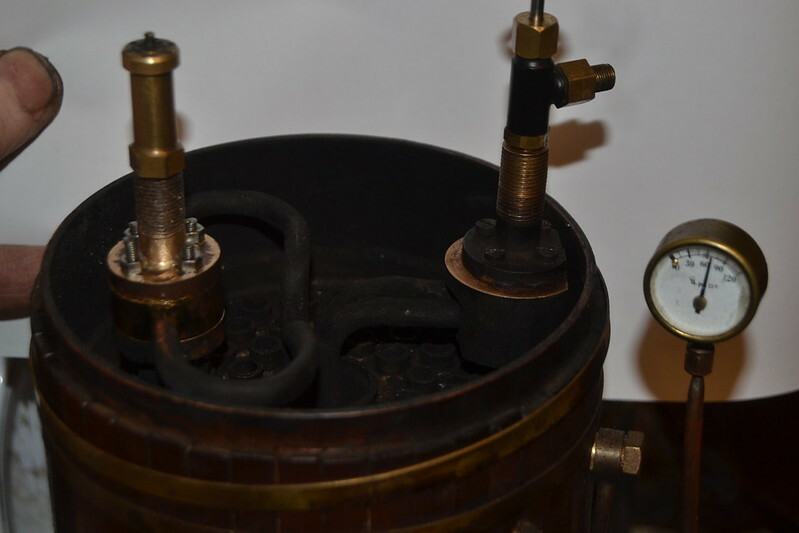 At the moment the top cap (smoke box) is a terrible fit and since the fittings pass through it cleaning the tubes means unscrewing the steam take off and safety valves to remove the cover. I think that is far from ideal and as I fire it on coal I need to remove the cover to clean the tubes after every second firing. Once I direct the fittings through the side I'll seal them properly and modify the top cap so it can be removed without disturbing the fittings. Bad Behavior has blocked 13138 access attempts in the last 7 days.